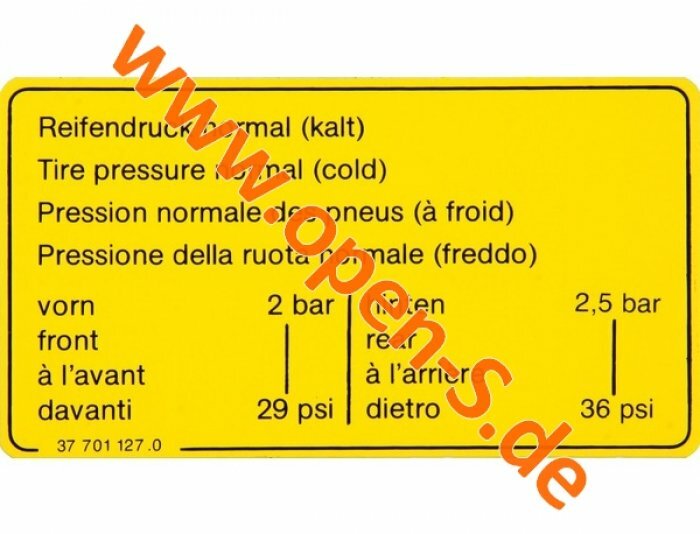 Reproduction of the tire pressure adhesive, e.g. cars of the Transaxel series of the 80s and 90s and Volkswagen as well as cars of the "G series" up to 1989 was used. Signal foil. Individual adjustments possible for an extra charge.